ItemA-04345 - Bastion At Nanaimo. 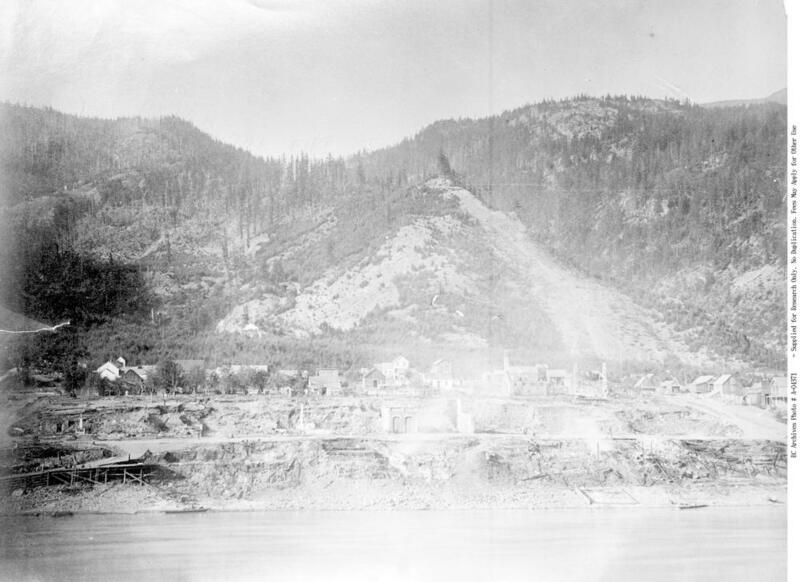 ItemA-04349 - Remains Of Fort Rupert. ItemA-04354 - Bullion; Three Miles South Of Quesnel Forks. ItemA-04370 - Port Simpson Wharf. ItemA-04371 - Yale, After The Fire. ItemA-04373 - New Westminster; early view of Columbia Street, west of 6th Street. ItemA-04374 - Columbia Street, New Westminster. ItemA-04377 - Looking East On Columbia Street, New Westminster. Item A-04371 - Yale, After The Fire.